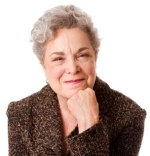 Regina Kessler is a leisure counselor whose web site Boomers Guide to Our 60s, focuses on how to enjoy a successful retirement. She holds a BA in Public Reaction from Ohio State University and a MA in Leisure Studies from New York University. She directed recreation programs at Bellevue Hospital, The New York Association for the Blind and taught Dynamic Retirement at NYU lifelong Learning Institute. She is the author of "Who Says Retirement Has to be Boring?" published in 1991 by Pharos Books. Regina currently runs seminars for both corporate and non-profit organizations on preparing for the leisure of retirement. You may contact her at boomers3@boomers-guide-to-our-60s.com. Eleven-thirty was really too early for lunch, but Harry was busy heating up last night’s dinner anyhow. Preparing food made him feel useful. At least he was doing something productive, even if it was only taking yesterday’s stew out of the refrigerator and putting it in the microwave. Early lunch had become a ritual for him since he retired. It helped break up the day. He usually watched “The Price is Right “while he ate. He didn’t really like the show but in some way it was company. He liked to finish eating and have all the dishes cleaned and put away before “The Young and the Restless.” Sometimes he saved dessert for “General Hospital,” the highlight of his afternoon. He never told Ethel about the martinis or the soap operas. He didn’t have to. Forty years of service to the sane company surely earned him the right to spend his time as he pleased. He hadn’t expected this, though. Somehow, he thought retirement would be different, although now he wasn’t exactly sure what he assumed it would be like. Actually, he hadn’t considered much about it at all. Of course he checked into his pension benefits a few months before his retirement date. When people asked about his plans, he told them he was going to buy a camper, fill the back with the smoking pipes he once sold to earn a living, and travel around the country, stopping where he wanted for a long as he wanted. When he needed a little cash, he would call on some old customers and sell some pipes. He picked up a few brochures on campers and bought himself a red plaid hunting jacket. That was the only thought he gave to the whole thing, until one day he didn’t have to catch the 8:05. Now he knew traveling across the country in his camper was only a fantasy, at least as long as Ethel was working. He couldn’t understand why she continued to work. It made him angry. For the first time in his life, he felt vaguely dependent on Ethel. What was he going to do with the rest of the afternoon? He decided to reorganize the kitchen. It seemed to him Ethel’s system was very illogical. He rearranged the utensils according to how frequently they were used. Then he put the spices in alphabetical order. This project so absorbed him he almost forgot to put the chicken in the oven. Then he remembered the cake. He was halfway out the door before he realized he was still in his pajamas. Ethel was home before Harry arrived with the cake. She was furious. She said nothing when Harry insisted she submit monthly purchase orders for cleanser, dish soap, and cat food. She didn’t even quibble when Harry plotted their toilet paper use on a graph and did a yearly schedule of household chores, complete with goals and objectives. But now he had gone too far. He had invaded her kitchen! Harry was hurt. He thought Ethel was being unreasonable. He was only trying to run the household more efficiently and keep from losing his mind. Harry’s predicament is a common one. Underestimating the impact of leisure is the biggest mistake pre-retirees make. They put their finances in order and assume everything else will take care of itself. But retirement is not an extended vacation. It could last twenty years or more. After an initial honeymoon, the impact of unstructured, unlimited time is the real challenge of retirement. Those who fail to adjust become bored, depressed and aimless but those who take advantage of the opportunities leisure offers, make retirement the best time of their lives.